Curious about acupuncture? We dish on everything you need to know about this ancient healing practice! Although the technique may be old, the idea of a therapy involving needles in this way is brand new to most of us and can easily be intimidating. That’s why we asked Sara to break down the basics for us – dispelling a few myths and answering some questions we always wondered about. Are you curious about acupuncture? You’re not the only one. Acupuncture seems to be popping up everywhere these days—celebrities are doing it, the morning shows are talking about, legislators are debating it. Yet despite its recent boost in popularity, acupuncture remains submerged in a sea of unknowns and misconceptions. If you’re one of the many people who are considering taking their relationship with acupuncture to the next level, here are 10 things you should know. 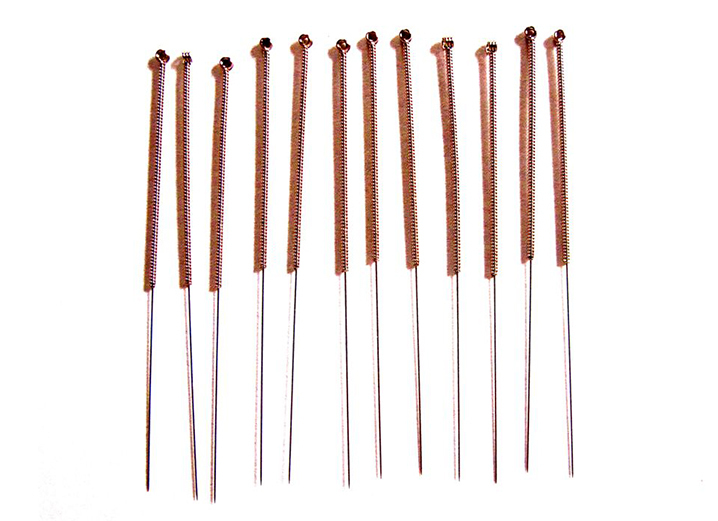 Most people who have never had acupuncture do not realize how thin acupuncture needles are. They do not bear any resemblance to needles that are used for injections or to draw blood. Acupuncture needles come in varying lengths and thinnesses, and some are as fine as a hair. They bend when you touch them. When needles are inserted into acupuncture points, they often produce a feeling of heaviness, like a dull ache. This is an unfamiliar sensation for most people who have never had acupuncture before, but it does not hurt. If you have a fear of needles, let your acupuncturist know. Most acupuncturists stock several needle sizes and will be more than happy to use the thinnest variety at your request. IT IS NOT JUST FOR PAIN. It is true that acupuncture can work wonders for back pain, headaches, neck pain, shoulder pain, leg pain, postoperative pain, and pretty much any other kind of pain you can think of. However, pain is just one of many ailments for which acupuncture can provide relief. Acupuncture alleviates digestive problems, menstrual irregularities, allergies, insomnia, stress and anxiety, asthma, and several other conditions. While many acupuncturists are generalists who treat a wide range of ailments, some specialize. Do a little homework before booking an appointment to find out whether an acupuncturist has experience treating whatever you need help with. IT IS NOT A ONE-SHOT DEAL. Acupuncture works cumulatively, meaning one treatment builds on the next. If the issue you’re seeking acupuncture for has been bothering you for a while, it probably will take more than one treatment before you notice results. Similar to how medications are ineffective unless you take the prescribed dose, if you don’t get acupuncture consistently and within an appropriate time frame it is unlikely to yield the desired result. After your first treatment, an acupuncturist usually will provide an estimate for how many treatments you’re likely to need. This is always an estimate because response times to acupuncture can vary widely, but it’s a good guideline. 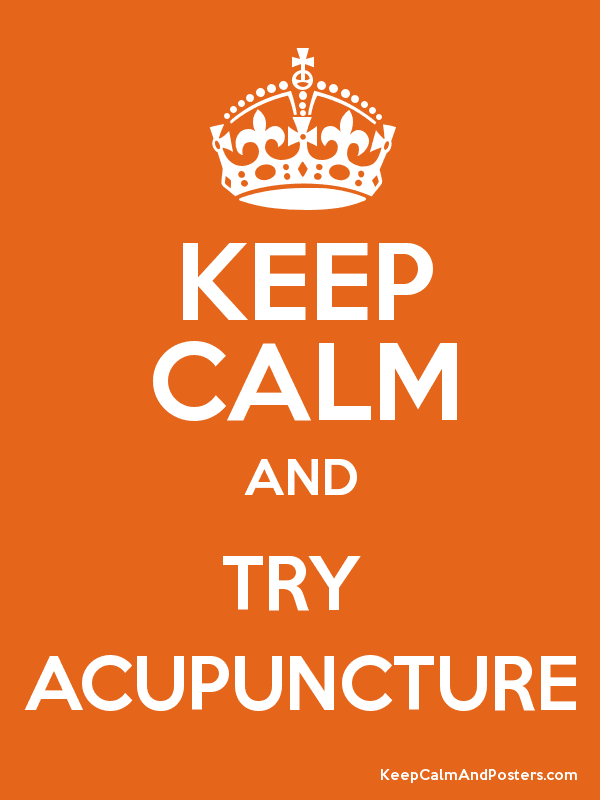 If you haven’t seen any improvement after giving it 10 appointments, try out another acupuncturist. IT IS A GREAT TEACHER ON GRATITUDE. The driving idea behind acupuncture is that we already have everything we need to be well. In contrast to bio-medicine, which is premised on the notion of external intervention, acupuncture takes what’s already there and rearranges it into something positive. Acupuncture doesn’t add or subtract anything. Rather, it prompts or reminds the body to do what it knows how to do. An acupuncture perspective teaches us to appreciate what we have rather than what we are lacking. This helps us reframe our desires so that we can better understand our motivations and have greater gratitude for what is. Although it’s becoming less common as the general public gets more educated about acupuncture, the myth of acupuncture as a religion or supernatural phenomenon remains. Acupuncture is not religious, nor is it voodoo. There is nothing supernatural or otherworldly happening during an acupuncture treatment. Acupuncture is a healthcare modality designed to help balance your body’s various, interconnected systems. You don’t need to “believe” in acupuncture in order to experience its benefits. IT HAS GREAT SIDE EFFECTS. Forget what you’ve been told. Acupuncture does have side effects. Many people who seek acupuncture for one issue wind up experiencing a lot of additional benefits. Here are the five most common side effects of acupuncture: better sleep, more energy, mental clarity, better digestion, and less stress. So there you have it, the truth, once and for all: Acupuncture has side effects that can significantly influence your quality of life. Consider yourself warned. Acupuncture requires us to think about physical and emotional health in entirely new ways. Despite noble efforts by many to find one, there is no biomedical equivalent for qi (pronounced “chee”) or for meridians or acupuncture points. Acupuncture turns mainstream medical tenets on their head. It reminds us that there are multiple ways of seeing the world. Private acupuncture sessions can run anywhere from $80-$200, which for many people is unattainable. It’s not a dead end, however. Some insurance companies have recently started adding acupuncture to their benefit packages. And in 2014, under the new healthcare laws, residents of some states will have acupuncture covered as an essential health benefit (Colorado included). There is a pervasive belief in healthcare that for something to be effective, it must be validated by clinical trials. This is not true. Clinical trials are to thank for many medications and technologies that have extended and improved life for countless people. That does not mean they have the answers to everything. They are merely one way of looking at efficacy. Results from clinical trials on acupuncture are all over the place. Some say acupuncture works, some say it’s no better than placebo, some say it’s worse. This does not mean acupuncture doesn’t work. All it means is that mainstream medicine’s gold standard isn’t able to make sense of it yet. The clinical and anecdotal evidence in favor of acupuncture’s efficacy is sky high. Millions of people have had their ailments erased and their lives changed for the better because of acupuncture. If acupuncture is something you want to try, don’t get bogged down in research. Achieving a true state of health is not about doing something because a study said you should. It’s about becoming aware of the options and deciding what’s right for you. IT WILL MAKE YOU AN ALL-AROUND STRONGER PERSON. It’s not always easy to embrace acupuncture. Most doctors, as well as some family, friends and colleagues, regard mainstream medicine as the only acceptable form of healthcare. The constant barrage of pharmaceutical advertising is hard to ignore. It takes courage to go against the grain. Acupuncture, although becoming more popular, is still not the norm. It requires a conscious commitment to understanding ourselves in a way that the majority shuns. This is the harder path toward health but ultimately the most rewarding.